One year ago, we chatted with Timothy Lim, the co-creator of Thump: The First Bundred Days about an upcoming parody comic featuring analogs of the first family called My Hero Magademia, which he had just begun working on. That comic was eventually picked up by Antarctic Press who published an astounding 7 printings of the hit comic! Now, hot on the heels of Tim’s latest book, ‘Trump’s Space Force‘ being offered for pre-order this month (with Chuck Dixon and Brett R. Smith), I’m pleased to announce that Timothy Lim and Mark Pellegrini have re-teamed and they’re launching a sequel to My Hero Magademia entitled ‘WALL-MIGHT: FIRST TERM PART II‘! 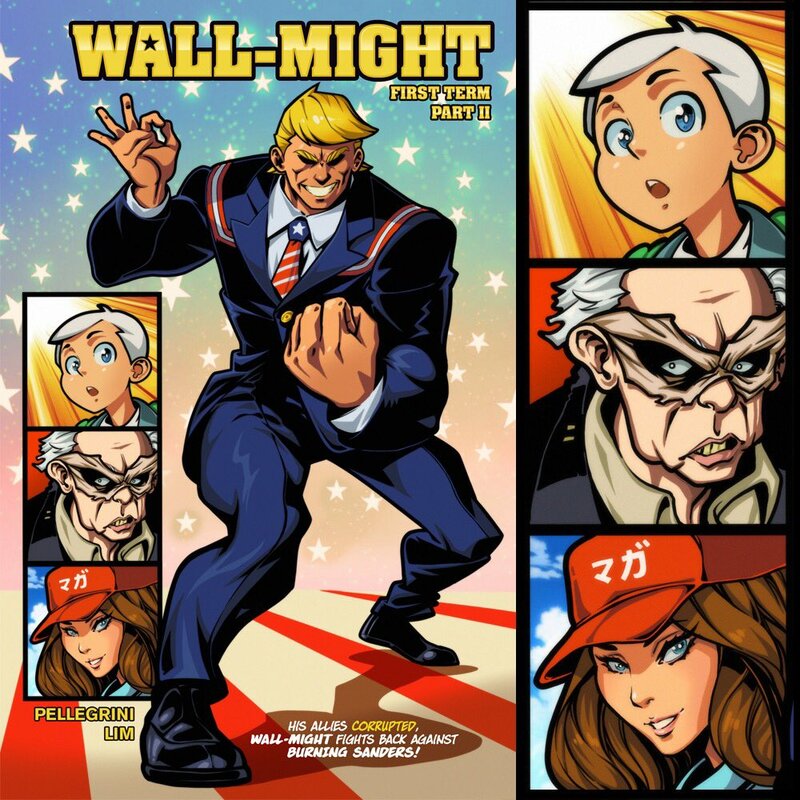 This issue will be set one year after the first book and follows the protagonist and Trump analog ‘Wall-Might’ and ‘Might Fence’ teaming up with the heroes of their world to fight a new enemy, ‘Burning Sanders’ – and his Youth Resistance. 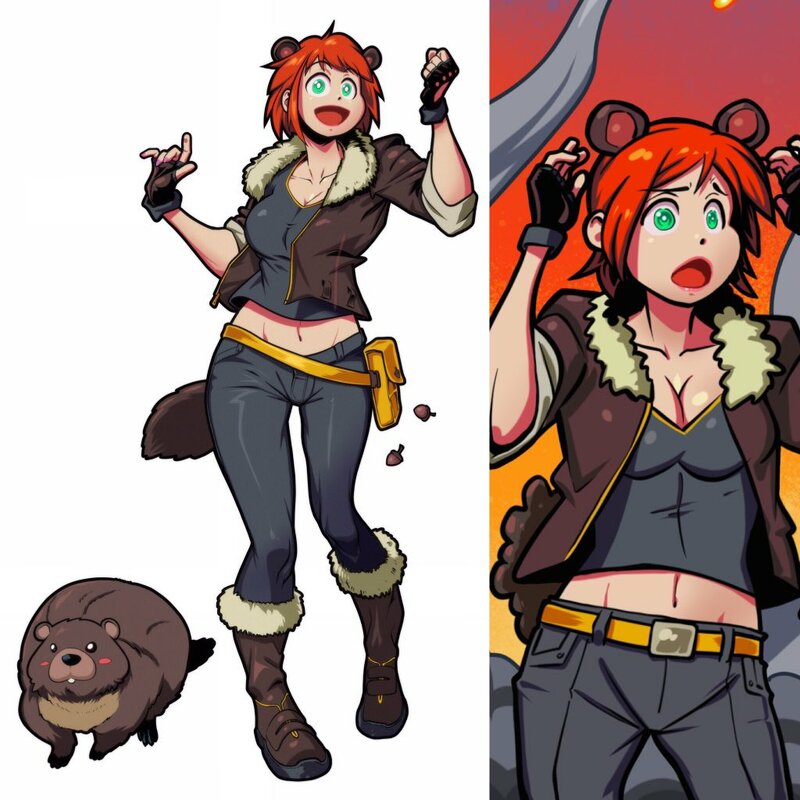 An exclusive first-look at new character ‘Marmot Maiden.’ Look like any other comic book characters you may have heard of? Unlike the first book, this one is largely thematically apolitical and will instead be poking fun at the modern, western comics. Since the politics and anime parody had already been done, the creative team felt that comics as a medium made the most sense logically as the next genre to poke fun at. 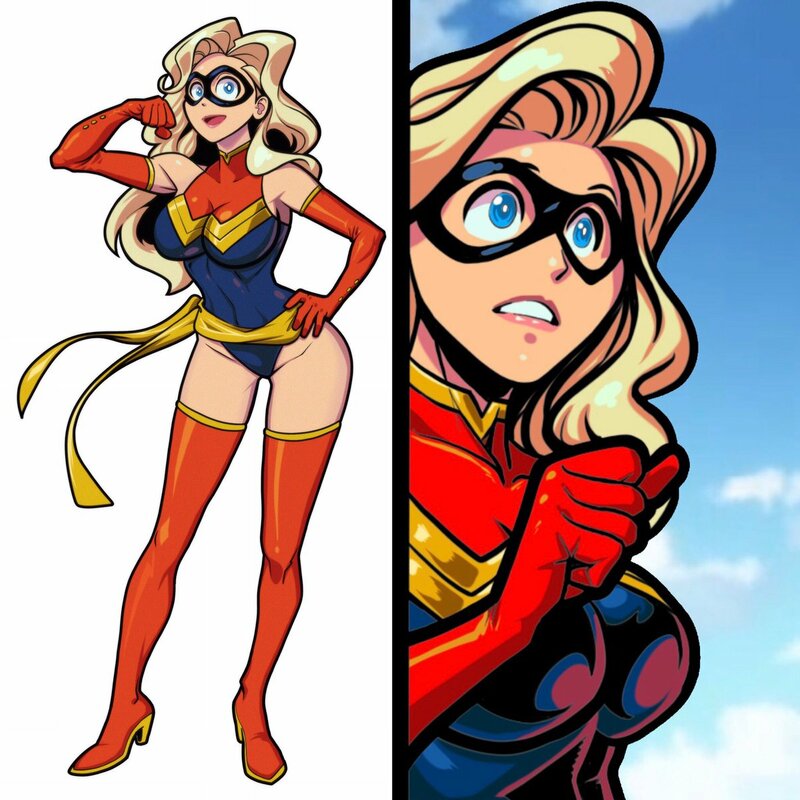 As you can see in these preview images, several characters look eerily similar to some of the most talked about comic book characters of modern times. Longtime collaborator Brett R. Smith will also join the team to handle colors on the Indiegogo variant cover. The creators plan to first launch the Indiegogo campaign to begin raising funds for the project around the last week of February, or March 1, 2019 at the latest. So a mere four weeks away. They plan for this book to be a 40-page comic with crowdfunding backers being able to support the project at a price point of $10. We’ll update this post as soon as the campaign goes live!